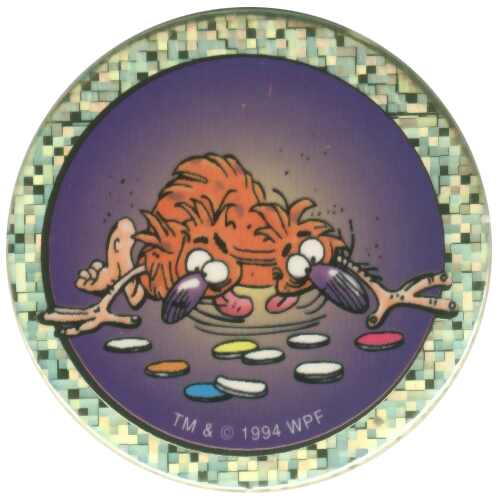 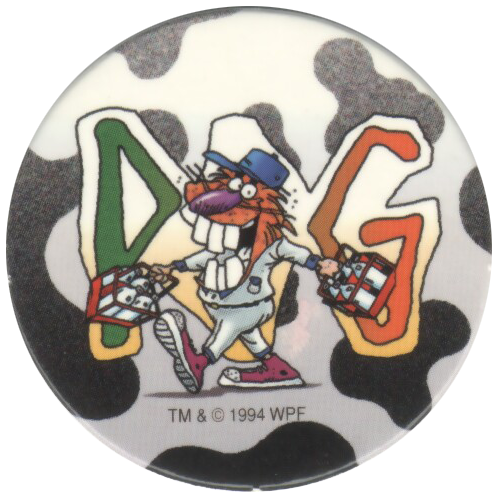 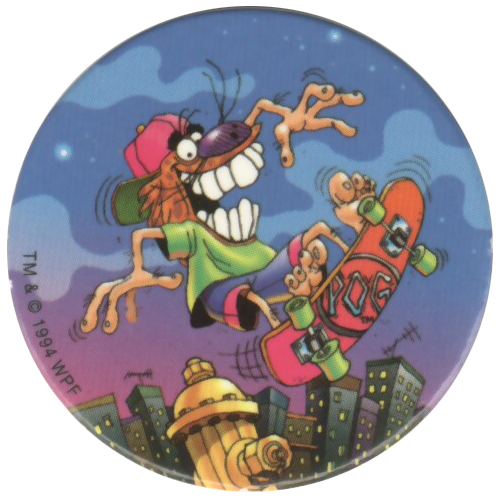 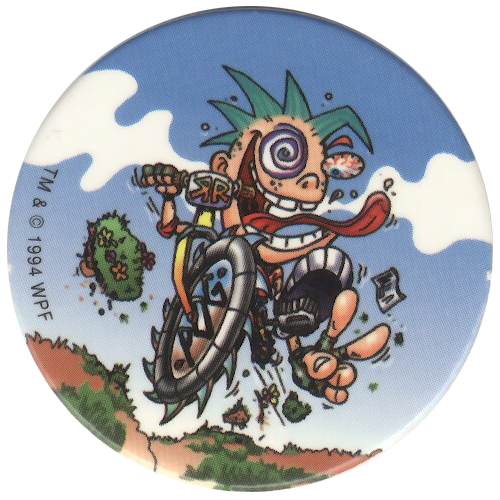 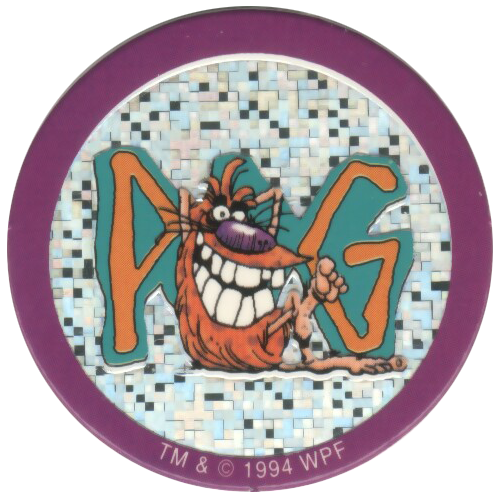 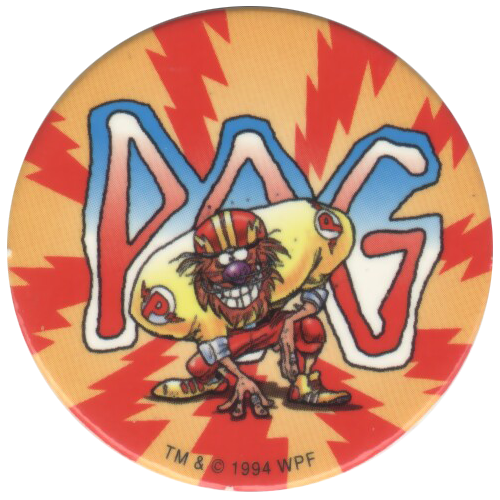 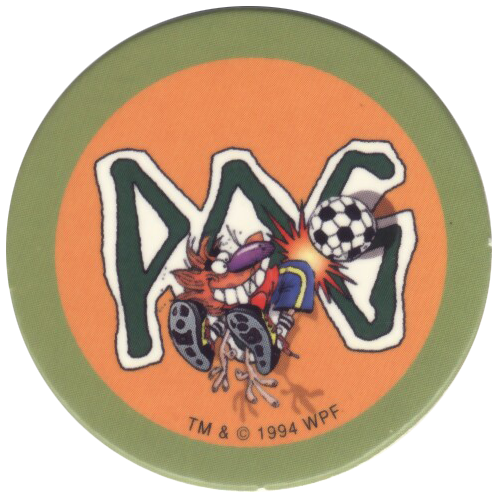 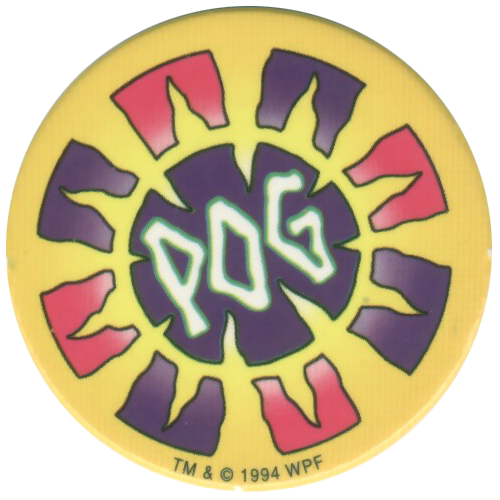 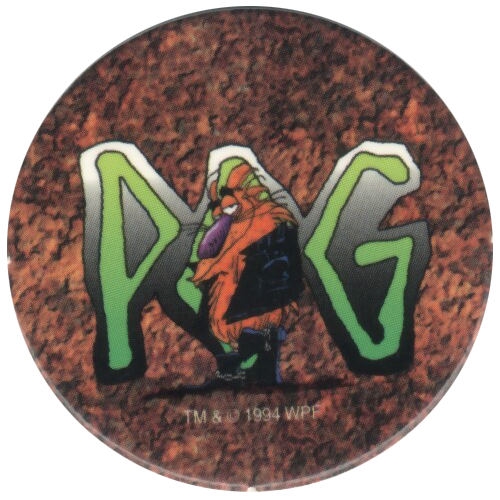 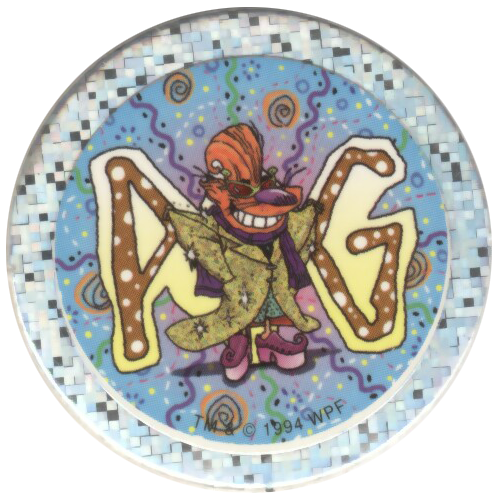 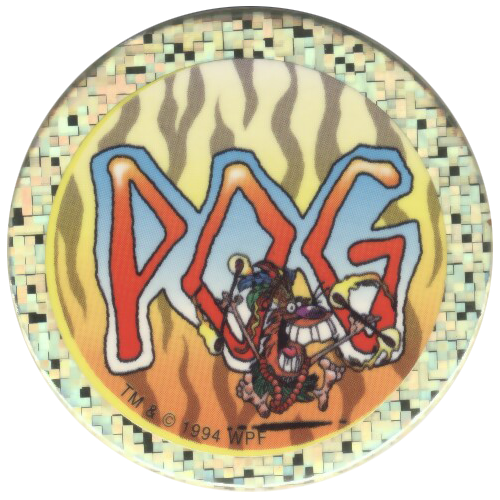 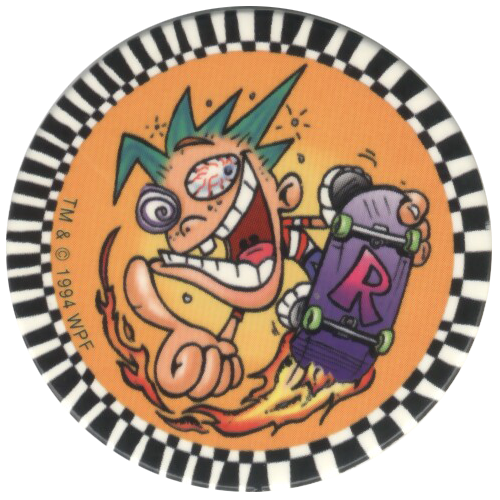 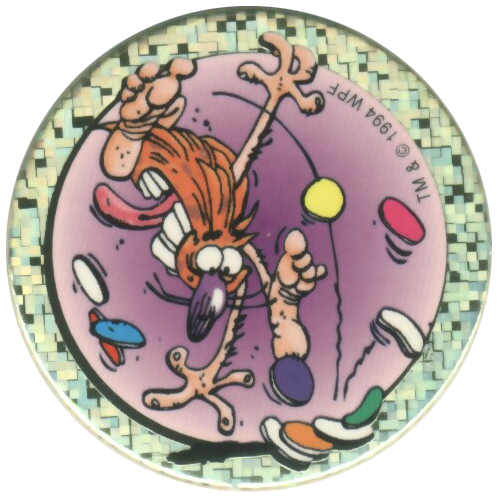 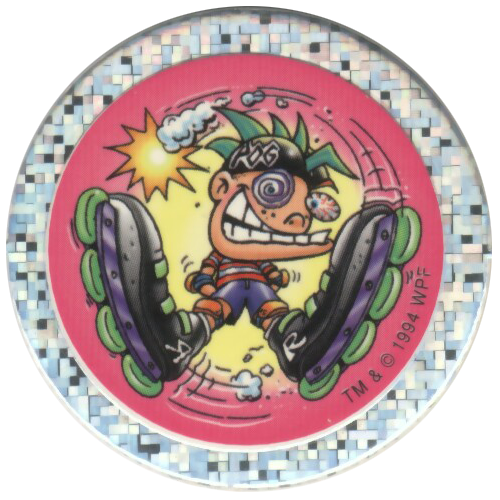 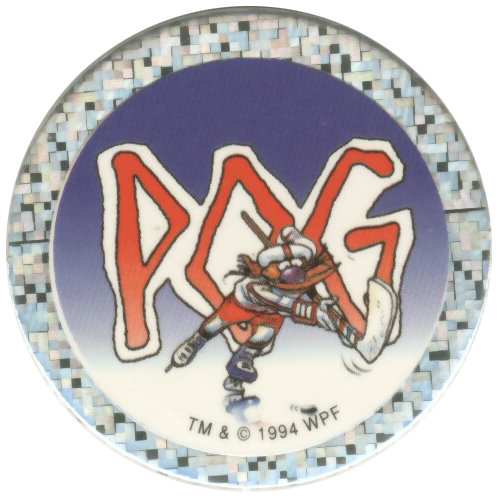 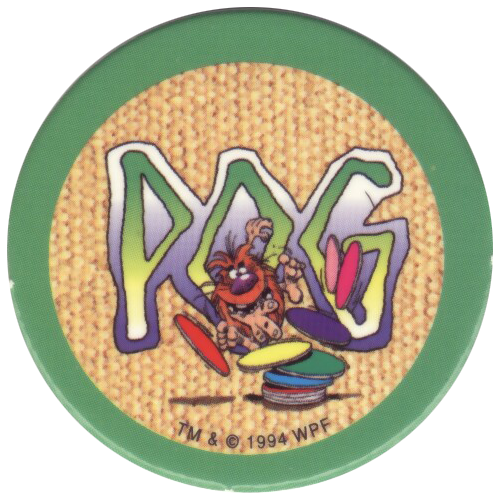 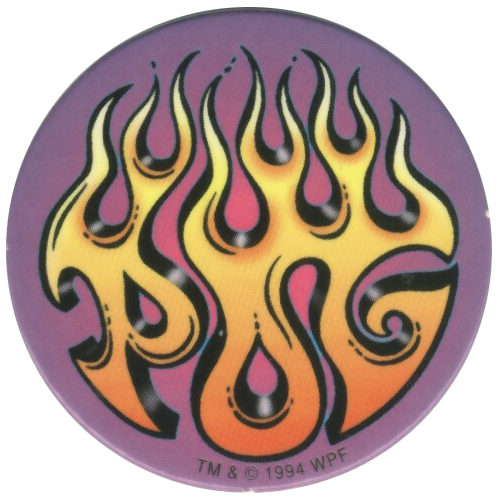 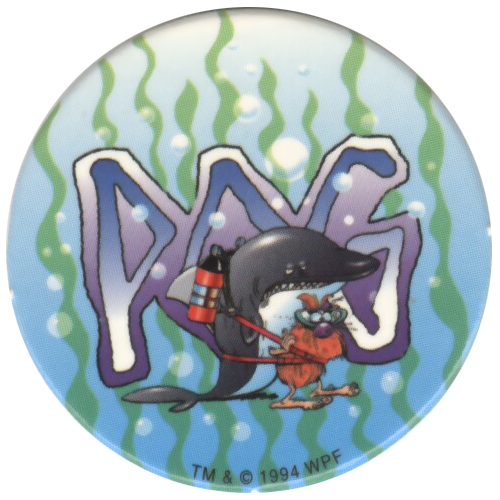 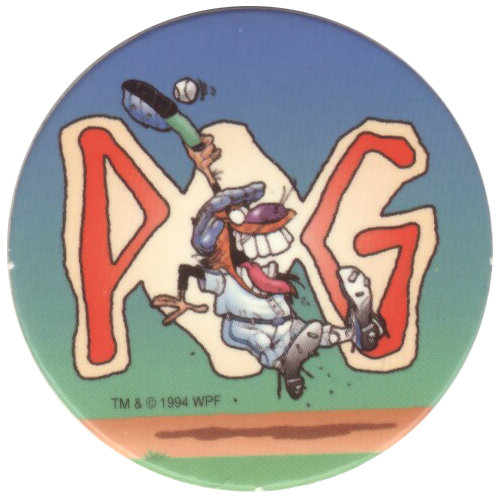 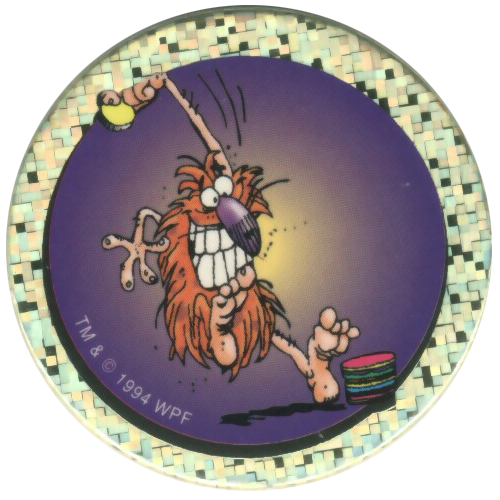 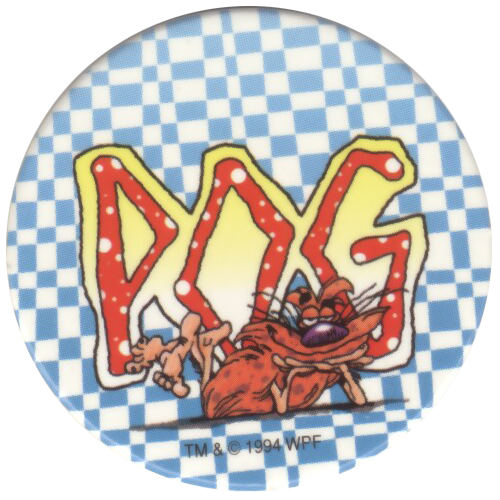 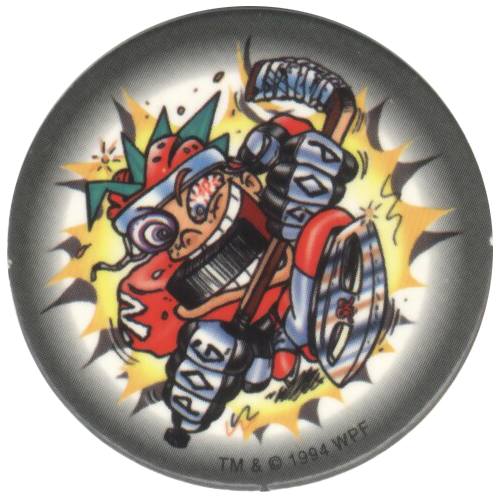 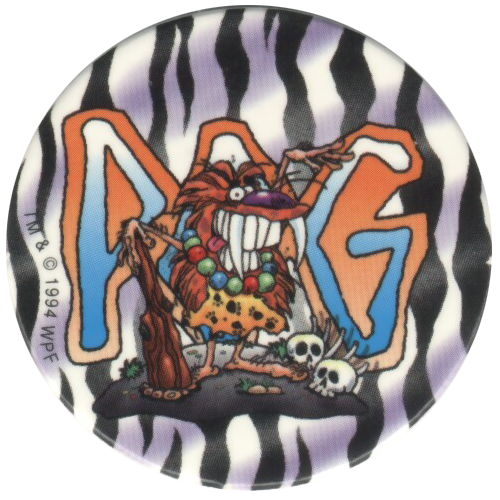 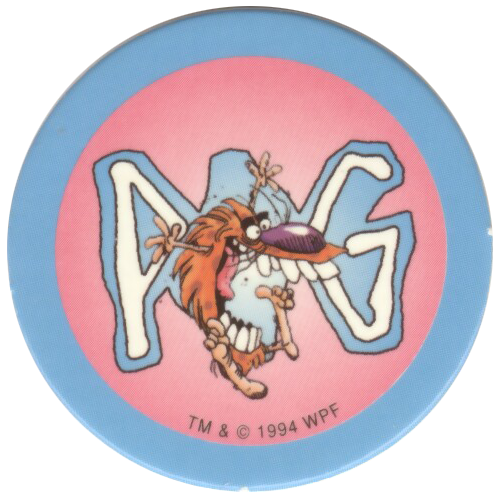 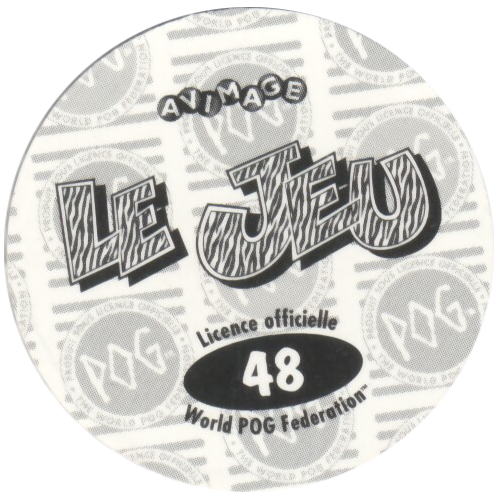 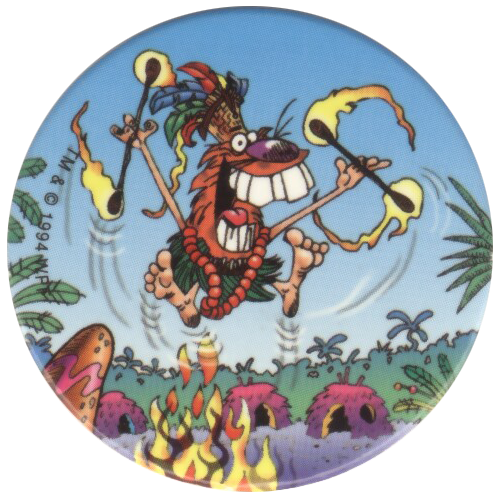 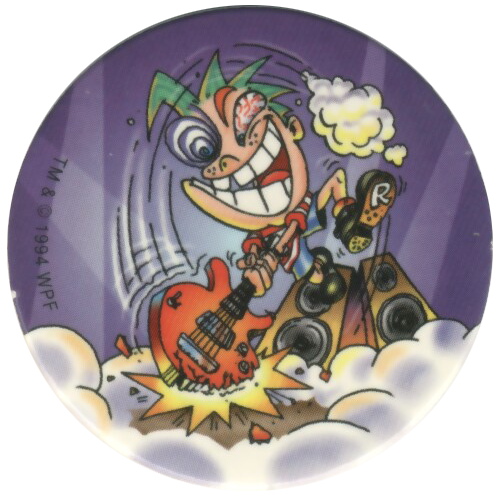 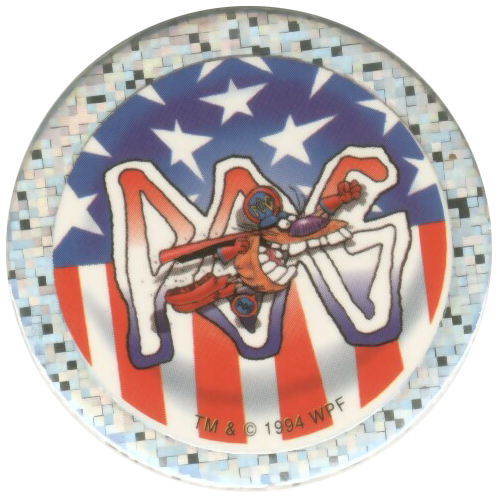 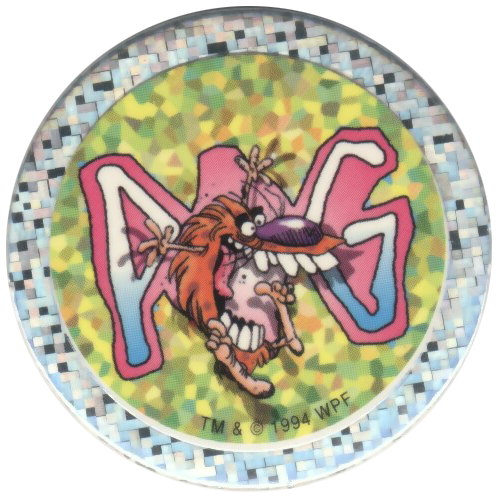 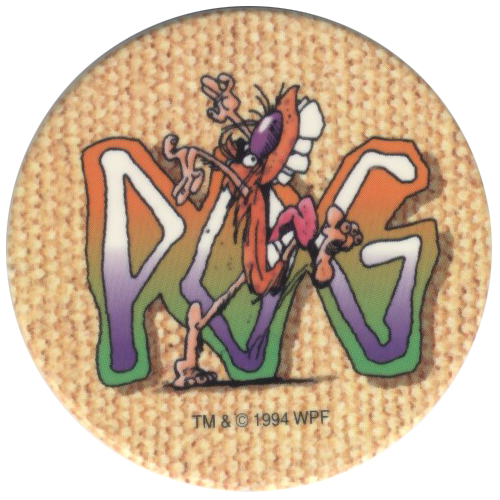 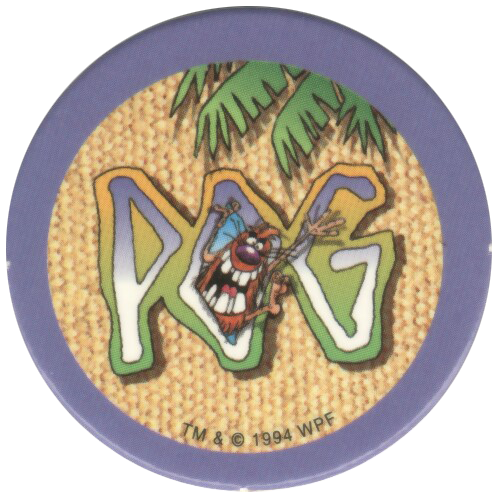 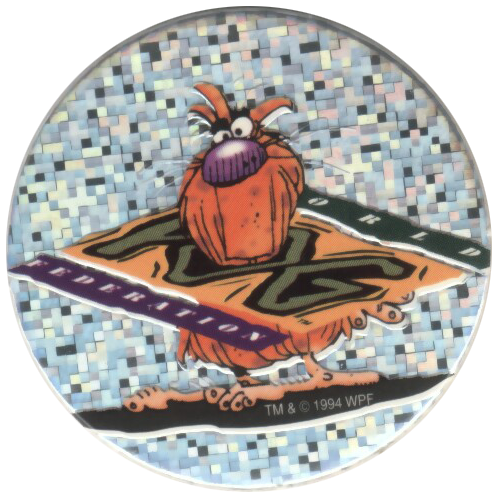 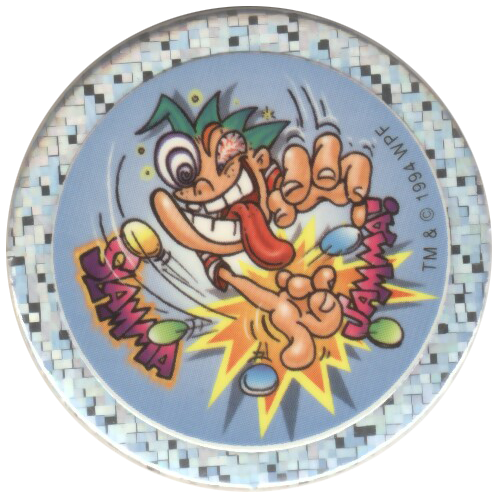 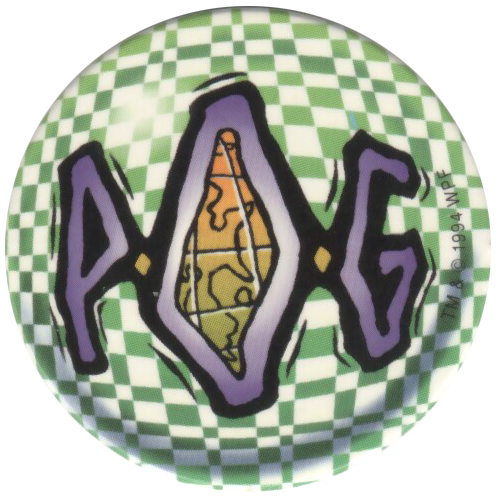 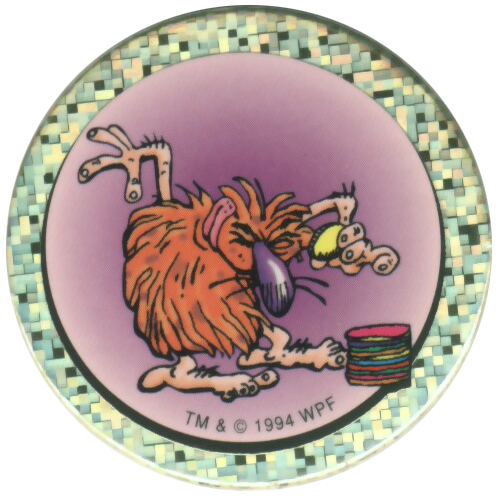 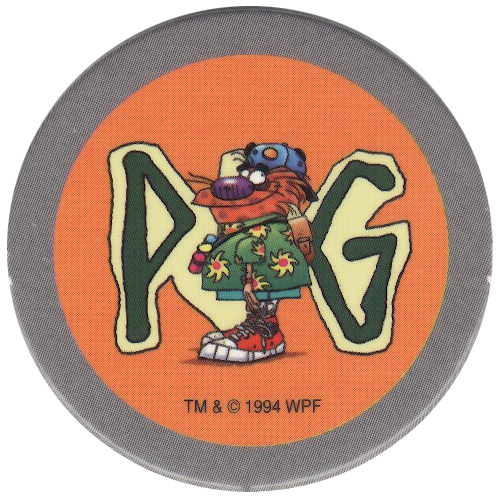 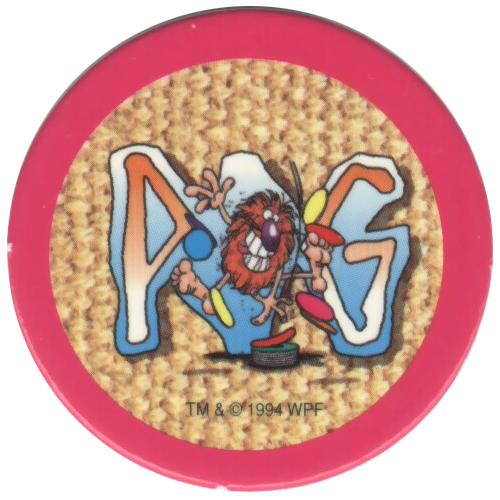 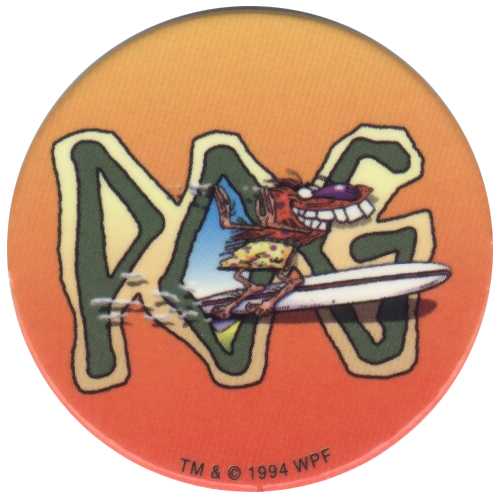 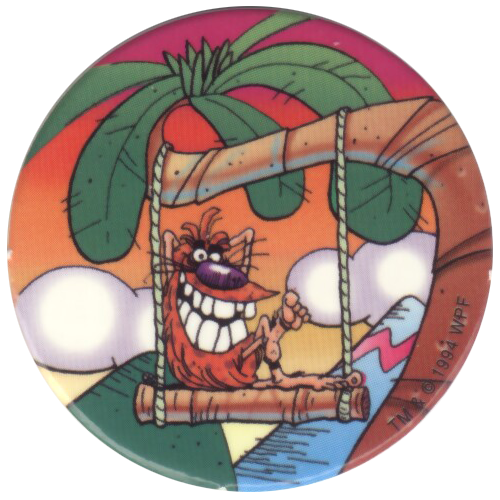 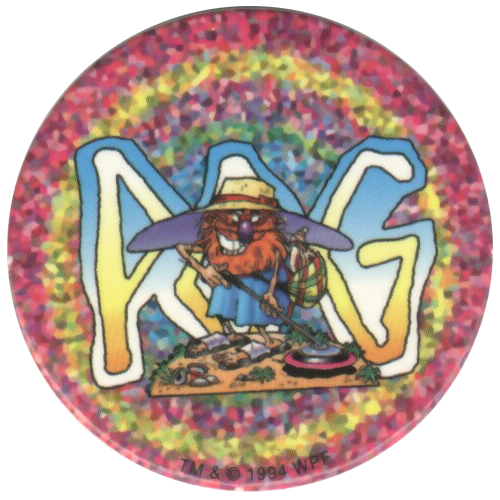 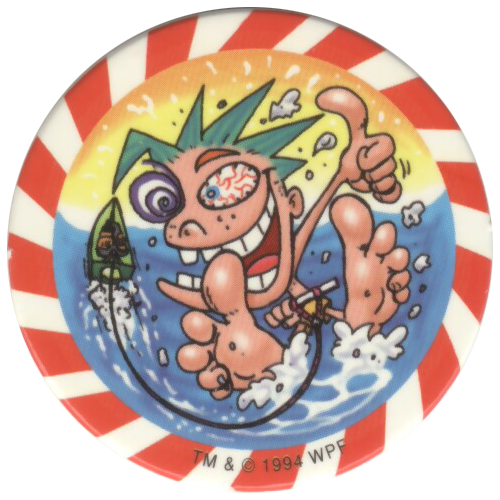 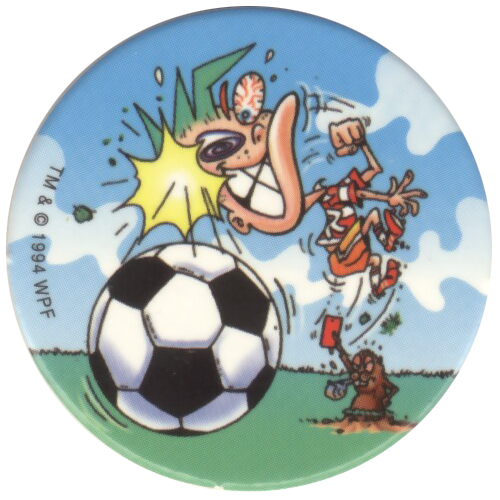 Info:These pogs were sold as Le Jeu (The Game) in France. 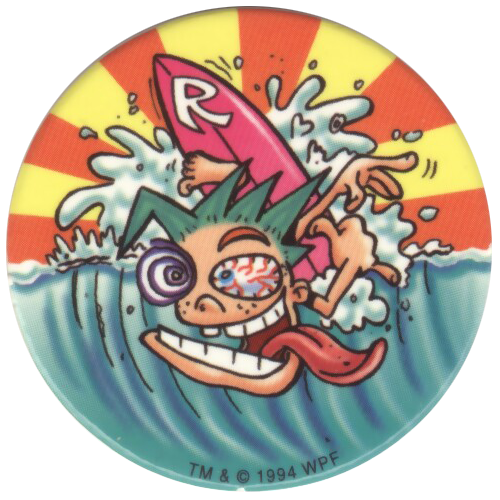 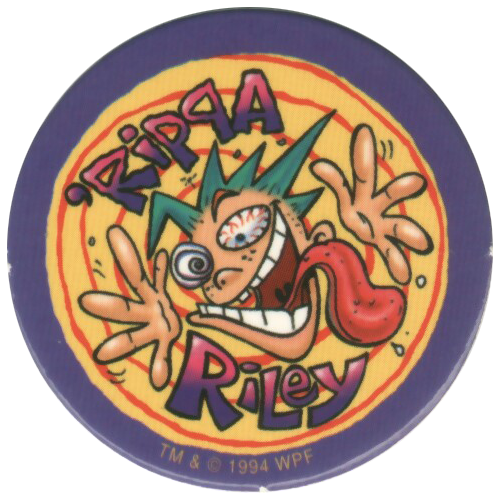 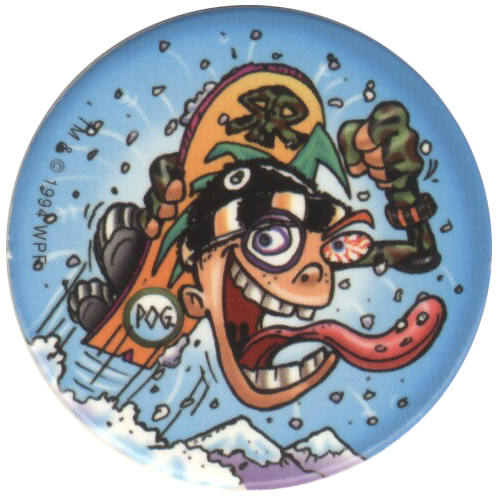 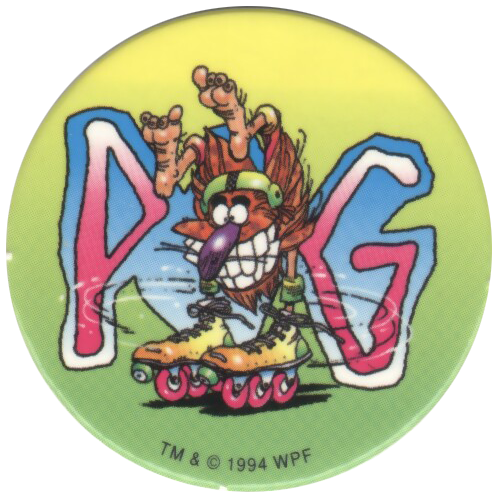 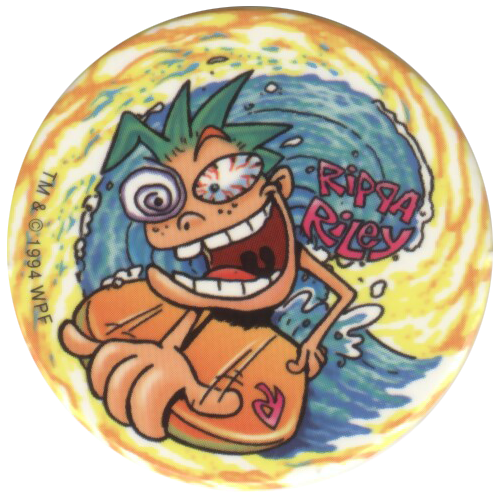 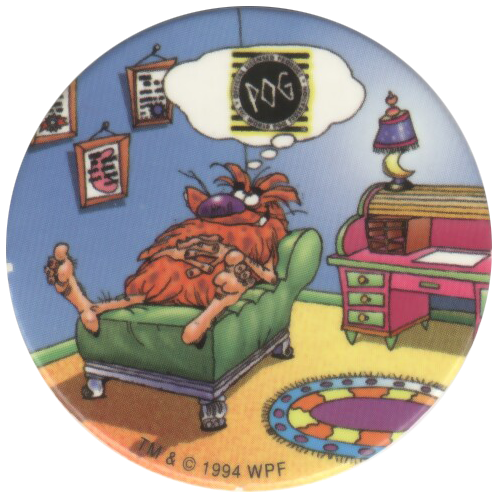 As well as the WPF mascot, Pogman, some of the pogs feature another character identified as Rippa Riley. 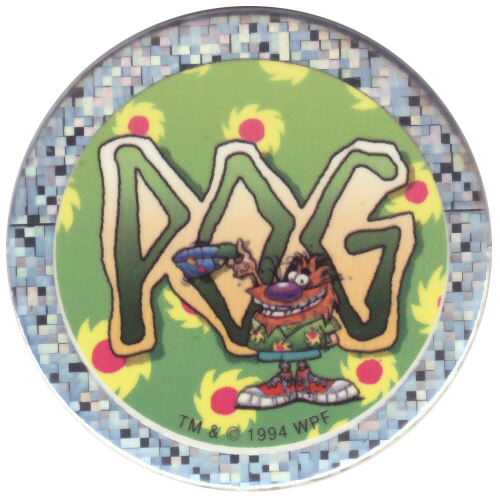 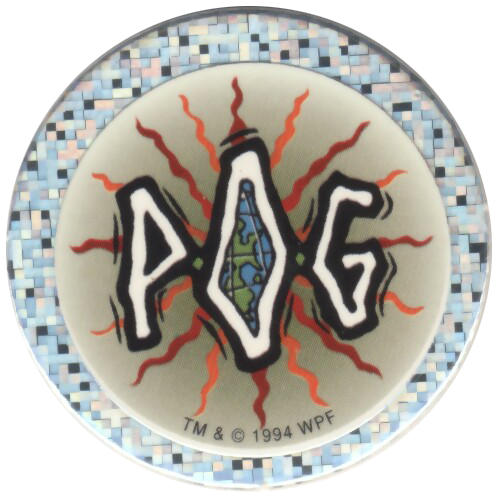 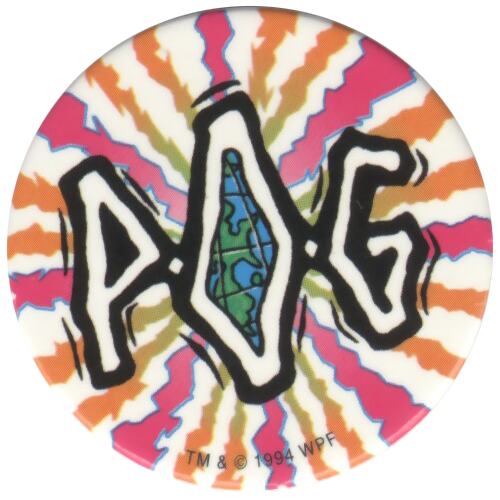 Thanks to the Génération-POG community for the scans of the full set below.